Are you ready to upgrade into a more gratifying home? Do you need additional space, or want to relocate to a more desirable location? Now is the time to start enjoying life a lot more! You may think today is the worst time to upgrade — after all, home sales volume is not rising and home buyers are scarce. How will you ever get top dollar for your home today? You may not get a sky-high price on the sale of your home, but on the other hand, you won’t pay a sky-high price for a replacement home either. It’s prudent to sell low and buy low, rather than to sell high and buy high. Upgrading in today’s mortgage market means a lower monthly payment. You will also pay lower property taxes for years to come. 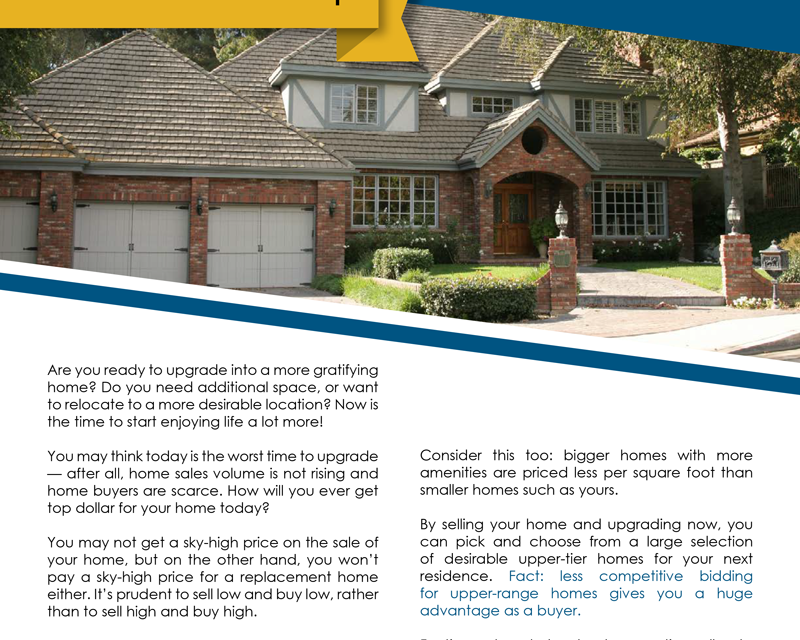 If you wait until the market rebounds to upgrade into another home, you will pay more for everything. Consider this too: bigger homes with more amenities are priced less per square foot than smaller homes such as yours. By selling your home and upgrading now, you can pick and choose from a large selection of desirable upper-tier homes for your next residence. Fact: less competitive bidding for upper-range homes gives you a huge advantage as a buyer. 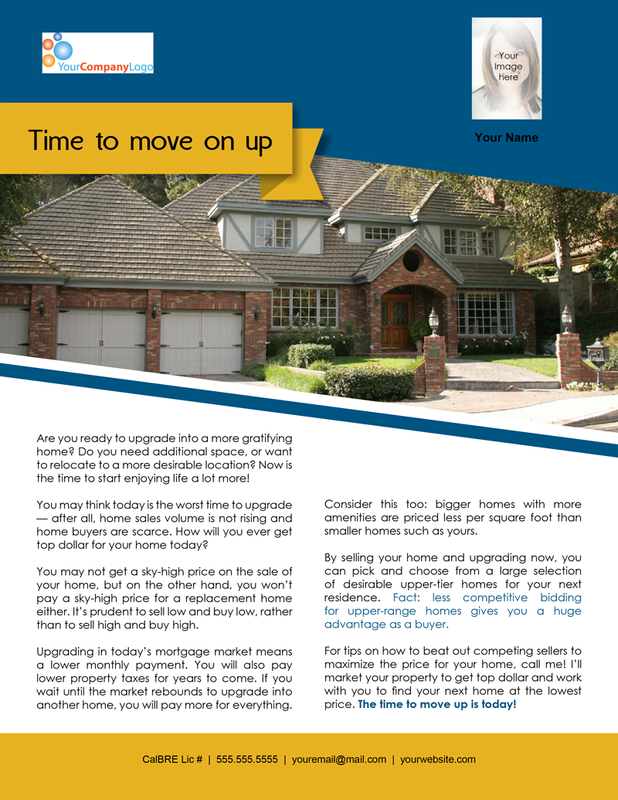 For tips on how to beat out competing sellers to maximize the price for your home, call me! I’ll market your property to get top dollar and work with you to find your next home at the lowest price. The time to move up is today! PreviousAre homeowners’ association (HOA) elections valid if they violate the CC&Rs? 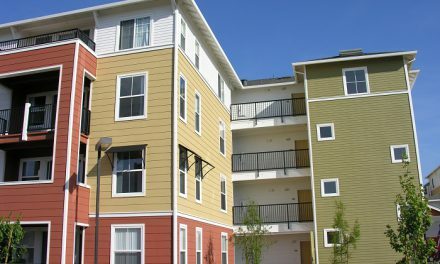 May a local government use spot zoning to permit development of a senior housing facility? 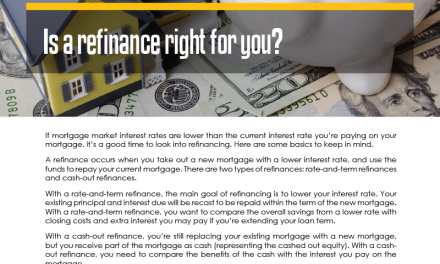 FARM: Is a refinance right for you?